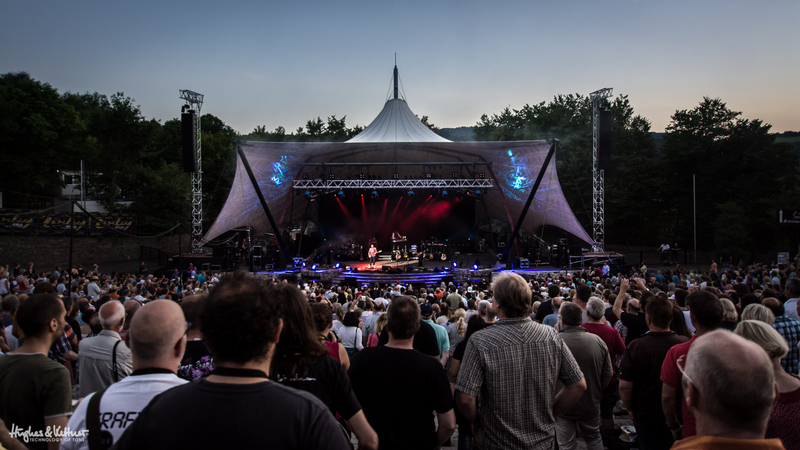 A few weeks ago, we wrote a blog about what you can do to sound great at your outdoor gigs. Not long after that, one of our esteemed colleagues played an open air punk rock festival and was duly beset with onstage problems of axe-smashing proportions (and he swears he reads this thing!). Said colleague managed to refrain from demolishing his guitar in fury, and the crowd remained unaware of the issues his band were facing throughout, so our question is: what happened, and how did the group manage to overcome their tonal demons on the day without it affecting their performance or the atmosphere? To give a little background, the aforementioned festival took place in Trier, Germany, and there were five bands playing on the day, the headliners being a cult ska punk outfit from California who are most definitely not Sell Outs. Being July, the weather was expected to be fine, and the 1000-capacity show was taking place in a venue that’s actually part of a courtyard on a farm. This meant that although there were surrounding walls to the back and one side of the concert area, the rest was completely open to the elements. And possibly some cow dung. With the show starting at about 5pm and a pre-midnight curfew, each band would have a fairly decent set length – at the expense of changeover time. As is often the case with such multi-band events, only the headliners were given the luxury of a full-length, mid-afternoon soundcheck, with everyone else having to make do with a barely adequate 15 minutes. In practice, this amounted to the band rushing their gear onstage after the previous group had vacated the area, before performing a single line level check and launching straight into their set. Not ideal, then – particularly for a full-on ska band with two guitars, bass, drums, vocals and a brass section to think about – but expect to have to put up with situations like this yourself if you’re playing similar shows. Of course, you can plan for certain eventualities in advance of such occasions. Our colleague had scoped out the terrain, and knew what he would be dealing with. He’s also played outdoor shows before, so had an inkling of what to expect. 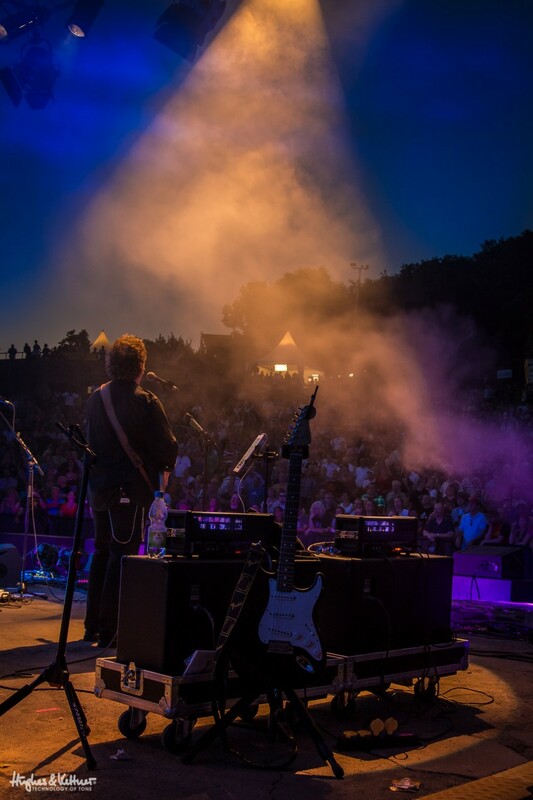 Consequently, he tuned his amp slightly for an outdoor setting – more mids, please! – and preprogrammed a few tonal settings he would need for various rhythm and lead sounds. Our colleague also knew that the first few bands – his included – would be sharing some of the backline gear, including a guitar cab. 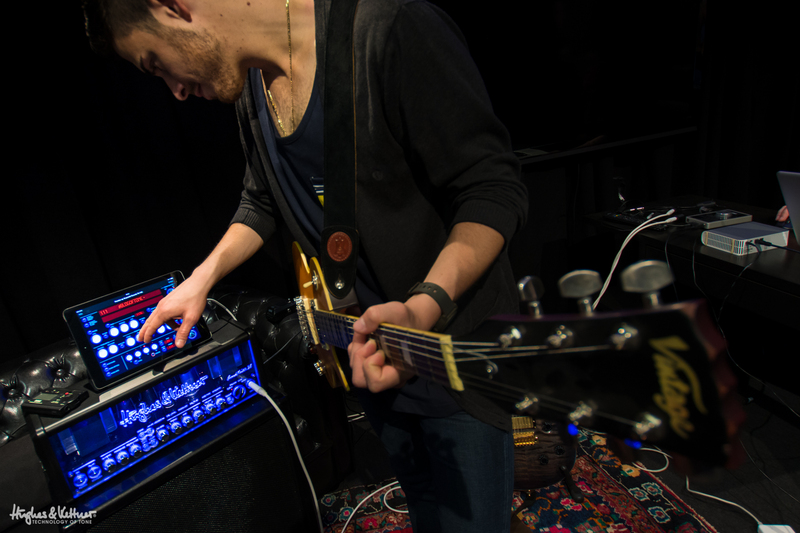 This can be a practical arrangement in some ways, as it cuts down on gear a band has to carry, but as every guitarist knows, every cab is different – and every guitar, amp and cab react differently to one another. Our colleague was able to find out what the shared cab would be in advance, and adjusted a couple of his settings accordingly, but it would be a case of playing things very much by ear come the day of the gig. After their line level check, then – during which the monitor engineer (who controls the sound the band hears onstage) and FOH engineer (who controls what the audience, or Front Of House, hears) offered no feedback whatsoever, just checked volume levels – the band blazed into their first song, and our colleague couldn’t hear a thing in his own monitor, least of all what he was playing himself. His amp and cab were too far away, and the monitor mix was non-existent. If you can scout out the terrain before the show, use any little bits of advance info to best help you plan your performance. That might mean anything from being able to program your amp for conditions, which guitar to take, or even what kind of clothes you’ll need to wear for the show! A brief remonstration with the monitor engineer later resulted in a deafening sound coming from the monitor, before it promptly gave in and died in the 30°C/85°F heat of the late afternoon. So far, so bad, but the monitor engineer then inexplicably decided to route the six-string sound fully into the side-fill monitor on the left side of the stage, deafening the whole band’s collective left ear for the remainder of the show. Despite the awful mixing going on, the band forged ahead, and were told later by friends in the crowd that their overall sound was fine – and no, they hadn’t noticed that anything was amiss during the show. The ability of a band to hide problems from the crowd can be a gig-saving one, and so it seemed to be in this case. Our colleague used a few other techniques to further hone his guitar tone during the show itself. 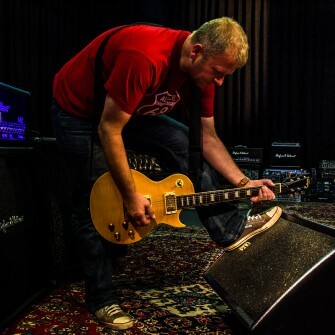 The combination of the foreign cab and the outdoor environment led him to spend far more time on his humbucking bridge pickup than usual (his trademark ska cleans are usually delivered via a neck single coil), and his added mids helped with distorted sounds too, although they made solos a little muddy at times. However, he felt he had to keep the extra mids dialed in; the sound was slightly weak and trebly without them. Sadly, it was not only the guitars that suffered on the day. The band’s bassist was continually plagued by a fizzing feedback sound whenever he stopped playing, and no one could work out what it was. Although the band later discovered the likely source of the problem – a mini fridge onstage for the headliners that was placed in close proximity to the bass amp – there was no time during the show to change anything, meaning everyone had to put up with a little buzzing between songs. Again, no one in the crowd noticed. There’s nothing more exhilarating than a gig that goes well. If you run into trouble, though, manage it as best you can, keep cool, play as well as the circumstances allow, and the crowd probably won’t notice a thing! Perhaps unsurprisingly, the best sound of the night was reserved for the headliners, who had had ample time to make sure their mix was perfect in every way. It’s often like this, and perhaps the best advice for live players in similar contexts – i.e. playing support on a multi-band bill in the great outdoors – is to just be cool, have fun and play the best show you can given the resources you’re presented with on the day (more advice on how to do exactly that here, by the way). Our man told us he took that advice to heart, saying he realized that the biggest problems were actually those going on his own head and the heads of his bandmates. Once they got over the issues they were having onstage – which weren’t deal breakers in terms of playing a great show – they were able to loosen up, relax and play to their strengths. In a genre like ska punk, that sense of fun is crucial, and without it, it probably would’ve been a pretty lame gig. Perhaps that’s the best way to do it. If your amp doesn’t blow up, or you don’t fall off the stage and break your leg in three places, or the entire stage doesn’t get washed away in a ridiculous freak rainstorm, you’re still in a position to have a load of fun playing your outdoor show. Anything else, and the crowd is probably still going to have a great time – and if everyone there’s enjoying it, then that’s surely the most important thing. Well, that’s our little onstage nightmare story for this week. Has anything worse ever happened to you when you were playing a gig, indoors or out? Let us know, as we’d love to hear how you managed to beat the odds and turn a potentially bad situation into a great one! First published: August 08 2014. Most recent update: October 16 2015. This has just popped up on my newsfeed on facebook on the eve of our band playing 2 outdoor festivals on the one day both in the Chesterfield area and both organised by the same company, we play at one at 3pm then scoot over to the other and play at 7.30pm!! I have my H&K Tubemeister 18w that is perfect to shove in the back of the car and a little 1×12 cab that it goes into, perfect for festivals, enough power to be heard easily on stage and they can either DI it straight into the mixer or mic the cab up, most mic the cab up cos the mics are already there for other bands amps that don’;t have a DI out, I set the amp on the full 18watts and run it completely clean with the treble a wee bit down and mids and bass up a wee bit for outside, then use my pedalboard and “tweek” the sound til I get what I want, this is a tried and tested method and it takes me 5 minutes to set up, cos sometimes there is only a 15 minute changeover between bands, so as it is a quick setup I’m not as stressed when we start cos I’ve had plenty of time, that’s a big thing for me. Hey Ellis, good timing on our part, and thanks for sharing your real-life tips and experiences with us too 🙂 Two festival sets in one day can be stressful, we imagine 😉 A simpler setup can only be beneficial in a situation like this, and it seems like you’Ve got it down to a fine art with your TM18. Fifteen minutes of changeover time for you means five minutes of setup then a 10-minute beer break before showtime! I was very surprised that there was actually a site that would give musicians some insight and advice for bands playing outdoor gigs. As for our band, we usually struggle with this cause every gig seems to be different. Lat year our first Night Market gig was a disaster as far as the band was concerned. But when asked people in the crowd, it was good. Go figure! My tip is to turn down the volume with all amps, including the bass amp LOL. Start from there for the first song and move on to the second song. It can only get better. The main problem is when rehearsing in a small space compared to outside gigs, you can never prefix or predict your sound settings. Practice at a level where you don’t actually require microphones to hear the singing, and gradually work your way up by slowly adding volume to your music. Thanks a lot for taking the time to share your experiences, Richard. That’s also what we’re trying to do with the Blog here on the H&K site – sharing our experiences (good and bad!) with you guys so we can all play better shows and have more fun making music! Perhaps the biggest problem with outdoor gigs is the uncertainty – no two sets of circumstances are the same, and you generally have no time to get the mix right before you start either. We think your solution (start quieter, get louder later) is a good one, as it should make things get progressively more exciting while still sounding good. Too quiet is better than too loud! You’ve also said the other thing we hear a lot: outdoor shows sound bad for the band onstage, but the crowds just tend to love it anyway. Everyone wins if the band also has fun! Thanks for your interesting and helpful points, and we hope you can use a couple from our blog for your band’s future live shows, indoors and out! However, I’m using a Grandmeister and without having an ipad with you it’s pretty hard to quickly dial in some more mids for several different sounds you’re using. Thanks to you Chris! So you’ve been in Trier too and know the difficulties ;-). The “global setting mode” is only possible for the presence, resonance and master, as you already mentioned it. Thanks for your suggestion! Good advice! We all forget sometimes that our highly acute ears and the way we “hear” or don’t hear the way our songs are suppose to sound is really not as important to the unaware crowd who just want to have a good time. I am guilty of stage performance anxiety when the mix goes a little off colour and start freaking out thinking everyone else is equally upset with the mix. I go and talk to key people or friends and they say relax, it sounds great! So with that in mind I forge ahead reminding myself we are not in my studio with headphones on and 99.999% of the people do not have a clue as to what is going on with a bad monitor mix or stage problems. Just play and have a good time!